Alpha-Stim is a clinically proven electromedical device that relieves pain, anxiety, depression, and helps promote better sleep. Alpha-Stim generates a unique, patented waveform no other device can offer. Alpha-Stim provides long lasting cumulative relief to you fast, allowing you to resume your normal daily activities. It is a painless procedure. There are over 95 research studies and published reports, as well as ongoing research. 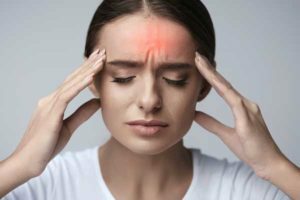 In over three decades of studies involving approximately 8800 people, only minor, self-limiting side effects have been reported with the two most common being headaches (0.10%) and skin reactions at the electrode sites (0.07%). A survey was conducted which included 2500 patients using cranial electrotherapy stimulation and microcurrent electrical therapy for the treatment of pain. Nine out of Ten people reported significant relief of at least 25% improvement regardless of the cause of their pain. How Can I Get A Treatment? Sign up on our website or call 205-967-6776 to schedule an appointment. We recommend that you give the Alpha-Stim three treatments to see if it works well for you.